Feb. 17, 2016, 1 p.m.
By Laura Hazard Owen @laurahazardowen Feb. 17, 2016, 1 p.m. If you’re a publisher who’s been waiting for the opportunity to make your content available through Facebook Instant Articles, you don’t have to wait too much longer: Facebook will open up Instant Articles to all publishers in April, the company announced Wednesday. The official-official announcement is coming on April 12 at Facebook’s F8 developer conference, so why talk about it now? Well, there’s the little fact that Google’s Instant Articles competitor, Accelerated Mobile Pages, is launching widely any day now, and any publisher will be able to use it. “We’ve gotten a ton of inbound interest from customers,” Facebook product manager Josh Roberts said. “It has always been our vision to create something that works for publishers all over the world.” Today’s announcement should help alleviate concerns that smaller outlets, especially local news organizations, weren’t getting equal access. 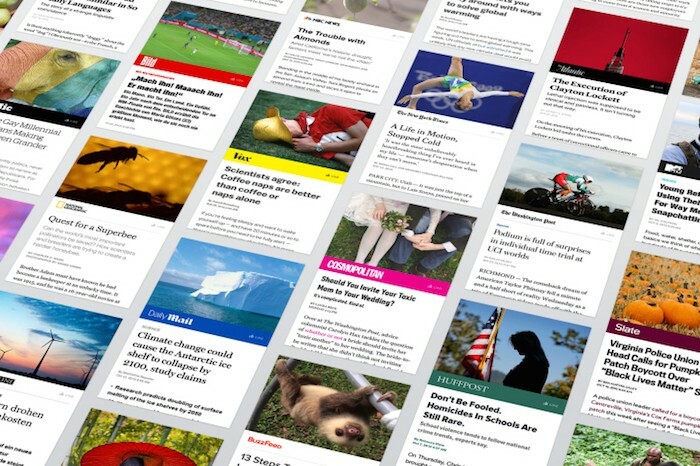 Hundreds of publishers worldwide are now using Instant Articles. The last batch was announced in December, but Facebook said it’s signing more every day, including companies with multiple media properties. who will be the first big-name journalist to go it alone with Instant Articles? Something I want to talk about that Facebook doesn't wants to talk about: Facebook + say, @billsimmons, or some other individual creator. Roberts reiterated what Michael Reckhow (the former Instant Articles product manager, now on paternity leave) told me in October: Instant Articles get clicked on, interacted with, and shared more than regular articles. Users “look for that lightning bolt and want every article to be an Instant Article,” he said. POSTED Feb. 17, 2016, 1 p.m.
Owen, Laura Hazard. "Facebook Instant Articles will open up to all publishers in April." Nieman Journalism Lab. Nieman Foundation for Journalism at Harvard, 17 Feb. 2016. Web. 23 Apr. 2019. Owen, Laura Hazard. "Facebook Instant Articles will open up to all publishers in April." Nieman Journalism Lab. Last modified February 17, 2016. Accessed April 23, 2019. https://www.niemanlab.org/2016/02/any-publisher-can-start-using-facebook-instant-articles-on-april-12/.